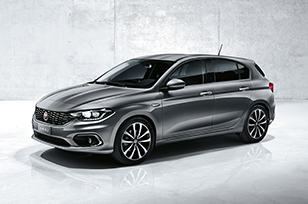 The passenger compartment of the Tipo remained stable in the frontal offset test. 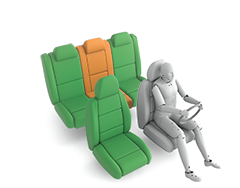 Dummy readings indicated good protection of the knees and femurs of both driver and passenger and FIAT demonstrated that a similar level of protection would be provided to occupants of different sizes and to those in different positions. In the full-width frontal test, measurements of chest deflection indicated marginal protection of the chest for both the driver and rear passenger. Deceleration of the head also indicated a marginal level of protection. In both the side barrier and the side pole impacts the Tipo scored maximum points, with good protection of all critical body areas. 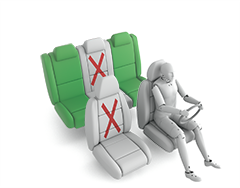 Tests on the front seats and head restraints indicated good protection against whiplash injury in the event of a rear-end collision. A geometric assessment of the rear seats indicated a marginal level of whiplash protection was offered here. An autonomous braking system that operates at low speeds typical of city driving is available as part of an optional safety pack and was assessed for this rating. Its performance was marginal, failing to avoid impacts at speeds lower than 20km/h, and it scored no points. The Tipo has a seatbelt reminder for the front and rear seats as standard equipment. An autonomous emergency braking system and a driver-set speed limiter are both part of the optional safety pack, the results of which are included in this assessment. The autonomous braking system showed good performance in Euro NCAP's tests at highway speeds.